↑ Merriam-Webster Dictionary Automatic Teller Machine. 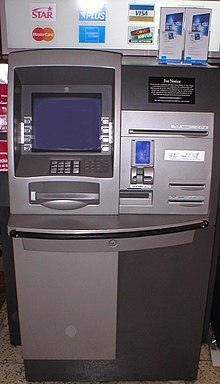 ↑ Maintain Automatic Teller Machine (ATM) services (Release 1). ↑ Cambridge Dictionary Automatic Teller Machine.